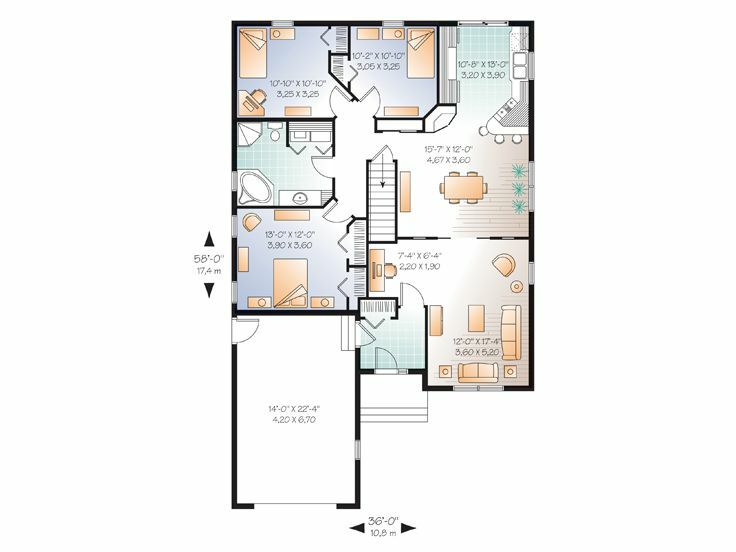 Traditional and innovative describes this small and affordable ranch house plan. An air-lock entry is cleverly utilized by both the front entrance and the entrance from the attached one-car garage. The open concept is also available. Tucked away in one corner of the great room is space for a desk and computer station. Space saving pocket doors can be drawn to separate great room from the dining area. Can be left open. There is also room for casual dining at the kitchen’s breakfast bar. Kitchen storage is enhanced by a pantry accessible to both the bar and dining area. Three bedrooms are conveniently located near the bathroom that offers a separate shower and tub and room for a laundry closet. The master bedroom provides His and Her closets. 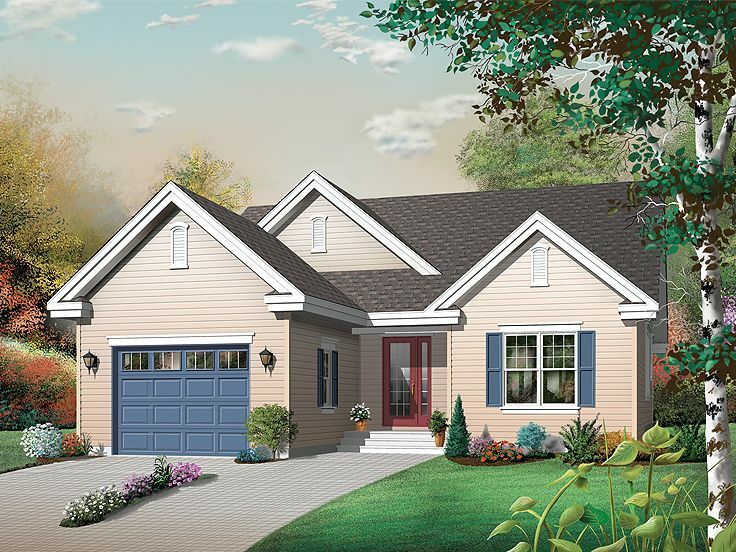 Its charming exterior and efficient interior makes this narrow lot home plan a definite winner. Heated Sq. Ft: First Floor – 1436 sq. ft., Basement -1436 sq. ft.
Unheated Sq. Ft.: Garage – 353 sq. ft., Porch(es) – 30 sq. ft.
Bedrooms 3, Full Baths 1, Roughed-in 4-peice in the basement. Ceiling Heights – First Floor 9 ft., Basement 8 ft.